I truly believe that every family should be able to use a doula's services should they wish. In light of this I have put together a variety of options for my clients that are available on all my birth and postpartum services. If you don't see a situation that works for you below please contact me so we can find alternative arrangements. Any mother should be able to have a doula by her side should she choose. 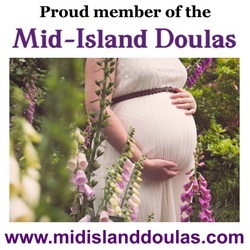 to assist you in making arrangements for doula support to meet your needs. or the first postpartum visit (for postpartum packages). (i.e. splitting up the fee into more/smaller payments). Pay HERE by credit card. please let me know. Some examples would be carpentry, electrical, massage, personal training, etc. In a trade of service we have a contract outlining the hours/services that will be exchanged. A great way to get help paying for doula services is to ask for it from your family and friends as shower/baby gifts. I offer gift certificates that can be purchased by anyone for you from $10-1,000. It is a great alternative to a gift registry!